Who doesn’t like a mad scientist in a slot game?! Maybe the main protagonist in online slot Gold Lab is not mad but he is definitely ambitious in his quest to make gold. This bright and fun casino game sees you helping this genius in concocting winning combinations whilst creating gold. Play online slot Gold Lab for free to learn more about the features and benefits of this game. When you are ready to play for real money, grab one of our exclusive bonus offers below. Featuring a mad yet friendly-looking scientist, alchemy and cartoon graphics, new online slot Gold Lab by Quickspin offers a mix of wild re-spins and free spins. Although trying to find a way to turn metal and other materials into gold was dreamt many centuries ago, some modern researchers haven’t given up on that dream yet. But there’s still hope for our young scientist here. If you succeed in entering the bonus round, you will see some spectacular transformations and great payouts. Payout percentage: The theoretic payout percentage of Gold Lab is 96.06%. 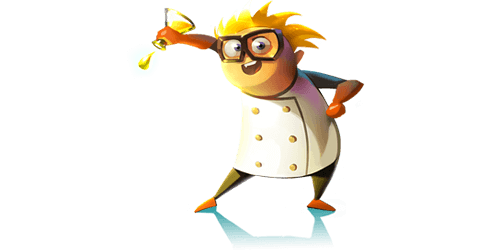 Game features: Golden Bonus Scatter, Respins and beaker meter. Spread over five reels and with 25 paylines, this slot is a fairly simple game to comprehend. Simple yet fun in design, symbols on the reels include 4 different beakers and 5 coloured gemstones. The highest paying symbol is the yellow wild symbol which rewards you with 8x your bet when you land 5 of the same symbol on a payline. The main attraction of this game is the Golden Bonus feature which you activate when you land a Golden Bonus scatter symbol on reels 1, 3 and 5 on a single spin. Keep an eye on the Beaker Meter to your right. 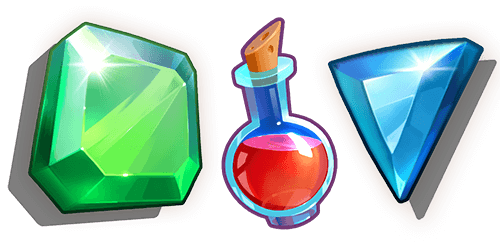 Each of the four beakers on the right-hand side have a corresponding Golden Bonus scatter. This in turn rewards you with 4 respins. All corresponding beakers on the reel then transform into wilds for the duration of the 4 respins leading to remarkable wins. Land one or more Golden Bonus scatter during a respin, and it will turn corresponding beakers into wilds increasing your free spins by one. It might sound complicated to comprehend but once you play it, it is child’s play. The minimum betting amount on Gold Lab is €0.25 while the maximum betting amount is €100 per spin. The maximum win you can achieve on Gold Lab is worth 413x your total stake. Like most online slots by Quickspin, Gold Lab is available to play on the go, anytime and anywhere so you’re not confined to playing on your desktop computer.